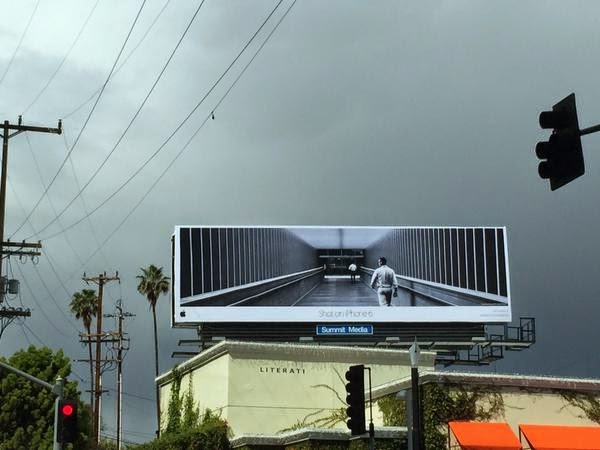 I've been meaning to post up about this campaign for a little while, since a couple of us came into the office one morning and simultaneously said "Have you seen that new shot on iPhone campaign?" That's what I like most about this work. The images are great, and the simplicity is excellent – it's increasingly rare to see simplicity (that is intelligent simplicity, not lowest-common-denominator dumbness) in advertising. But the best thing about it, is that the first thing you think is wow, that was taken on the new iPhone camera? And that, ladies and gents, is what good advertising should largely be doing – making you think that the product is really good in some way that might be of use to you. It seems silly to have to point that out, but increasingly it seems that many people in advertising think that the job of advertising is to make the advertising famous. I disagree with those people. There used to be a useful phrase in advertising: show don't tell. And this work does that. 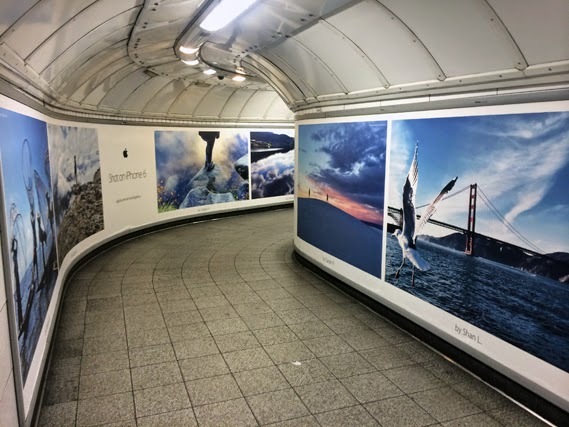 Where other phone-makers will crap-on about megapixels or stability controls or some other crap, Apple and MAL continue their legacy of strong, simple, product-based ads by showing us a demonstration of the benefit: a great photo. It's simple, and it works. And these posters are nice to look at, too. This last point is important. Back in the sixties, Howard Gossage railed against the use of outdoor advertising as a blight on society. He argued that with all other media; radio TV, print, etc. you opt into it - you pick up a magazine or newspaper, or turn on the TV or radio fully in the knowledge that there will be ads, and that those ads are largely paying for the other content that you're there to enjoy. It's a choice, a transaction. And those ads are discreet by the nature of their media. 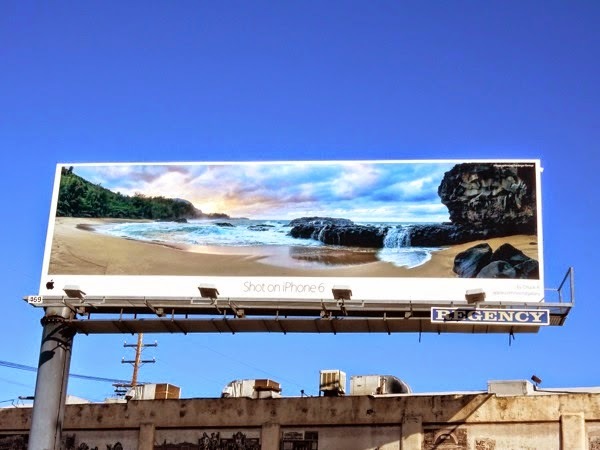 But, he argued, when it comes to outdoor – it's different – those ads are forced upon us in our own environments, we don't get to choose whether we get to see them or not. And you know, I have some sympathy for that point of view. Not completely – I don't think that outdoor should be banned, as Gossage did. But I do think there is a responsibility when using outdoor not to despoil our environment with poorly designed, poorly photographed, shouty, ugly or stupid posters. These things are twenty feet wide and bigger for God's sake. We have a responsibility to make our work add to the world around us, not abuse it. We live in a time when advertising is completely disappearing up its own arse. Becoming more stupid, more inane, more ugly, less of interest or of use to the customer and more selfish and self-centred. This work is a rare oasis of good in that interminable desert of crap. One final point is just to acknowledge Apple's continuing success at using so-called traditional media to effectively advertise innovative, technological products. No interactive gizmos or fashionable faddy, latest-thing gimmicks. Just simple, relevant thoughts, based on the product, relevant to the customer, simply put and well crafted, with great media placement. If only more clients and agencies had the confidence (or talent?) to do this. Maybe they would have built the most valuable brand in the world? While I do think the idea on how to sell the product is brilliant, I was wondering whether the photos themselves are striking enough. Over here (which is Zurich, Switzerland) the campaign is running with images I do not find attention grabbing enough. They are nicely shot, but I question whether they stop you in your tracks. That's one of the classics, Parvez, great ad. While the photos are really nice, I've got a hard time believing they were shot "as is" without any sort of heavy re-touching. Especially the saturation seems way over the top from what I'm used to from the photos I take on my iphone. I don't have too big a problem with that, do you, Anon? I think it's misleading. Hats off if it truly is taken straight from the iphone6 with zero editing (except for a crop or resize). Their "Images Optimised For Large Format" legal line makes me chuckle every time. i love these. they actually add something to the urban landscape in which i see them. they're cool and a huge improvement over what usually passes for outdoor advertising in US and A.